Kristy's Awesome Surf Adventures: Make Coastal Cleanup a Part of Your Day Every Day! Make Coastal Cleanup a Part of Your Day Every Day! 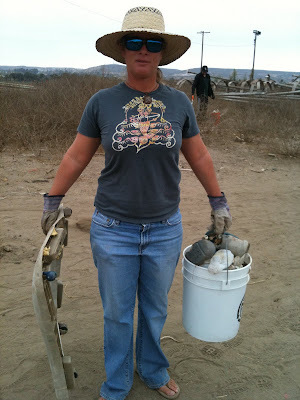 Sept. 17 was California Coastal Cleanup day and here in San Diego there was lot's of work to do. 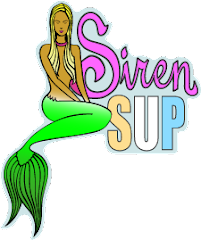 Siren Surf Adventures joined cleanup organizer Wildcoast to clean up the Tijauna River Valley near Borderfield State Park. This fragile river and estuary system is the border between the USA and Mexio and has been plagued by sewage, runoff and trash for years. The good news is that for the last several years, both Mexico and the US (and organizations like Wildcoast) have been working together to develop solutions to this environmental and health problem. After all, the hazards associated with dirty river runoff don't discriminate, it affects everyone. We were stoked to see a great turnout at the clean up including Ocean Minded Sandals who came by to help clean and give out hats to keep the sun off of all the volunteers. At least 35 tires were collected, a shipping container was filled full (thanks to an assortment of plastic bottles, styrofoam, straws, lids, old shoes, pens, toys, you name it!) and most importanly friends were made and lots of smiles created. You just cannot help but feel good after seeing all that trash that could have very easily been flushed out to our oceans and beaches, neatly collected and on its way to were it should be, in a garbage can. We just have to remind ourselves that the cleanups never end, it is a constant battle. Everytime we walk down to the beach we need to do our part. Pick up garbage when you see it, recycle and reuse. Make Coastal Cleanup Day EVERYDAY! Thanks Wildcoast for organizing an awesome cleanup! The container, starting to fill up.